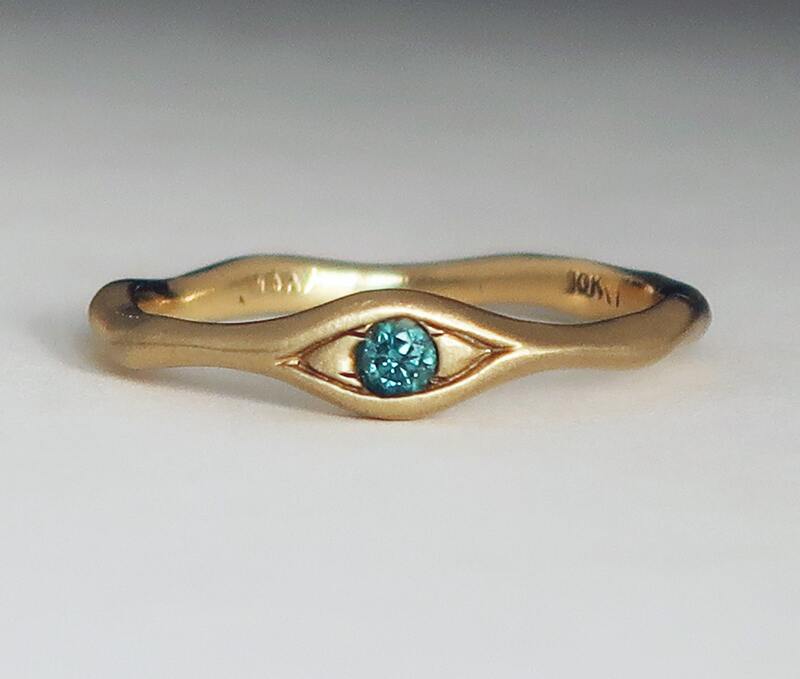 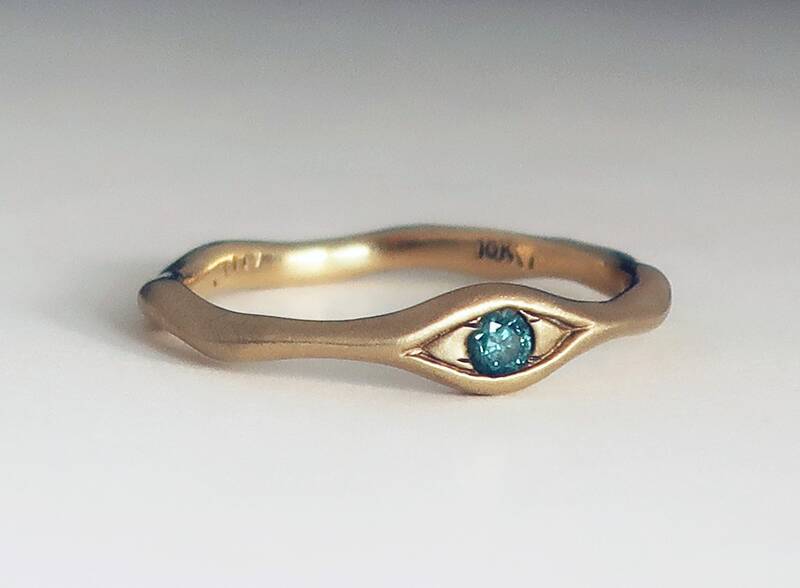 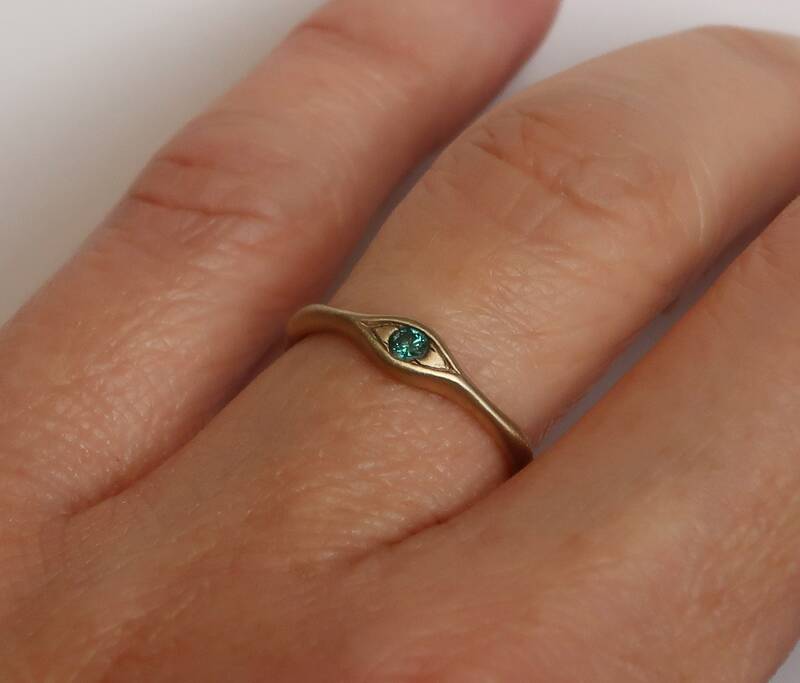 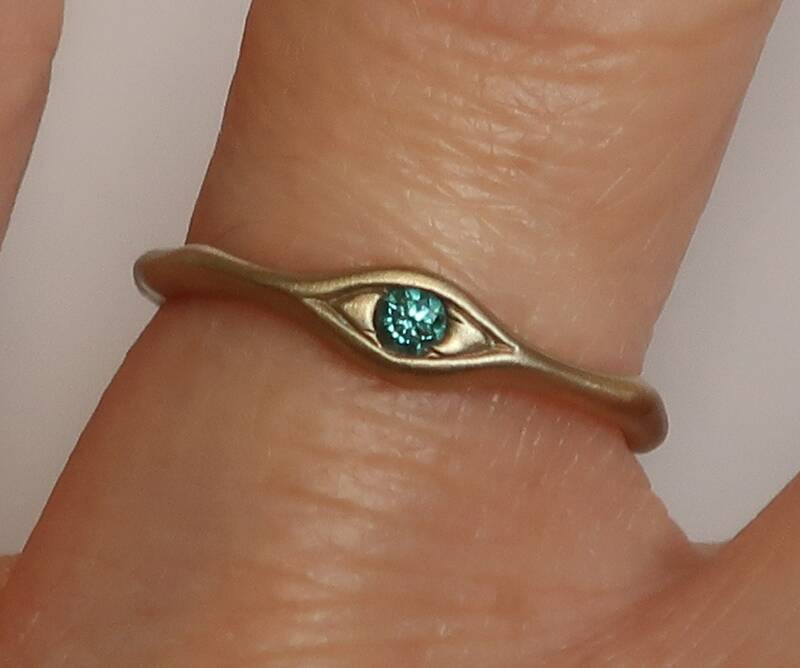 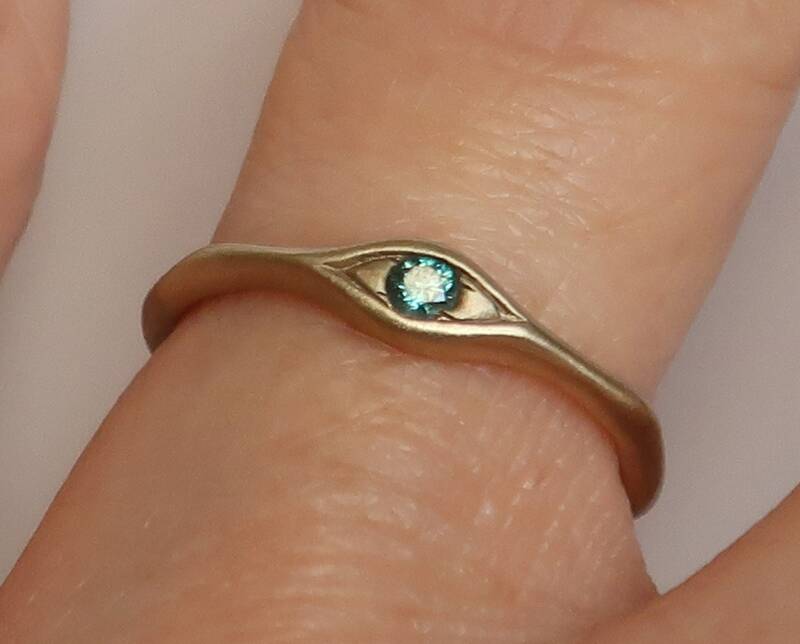 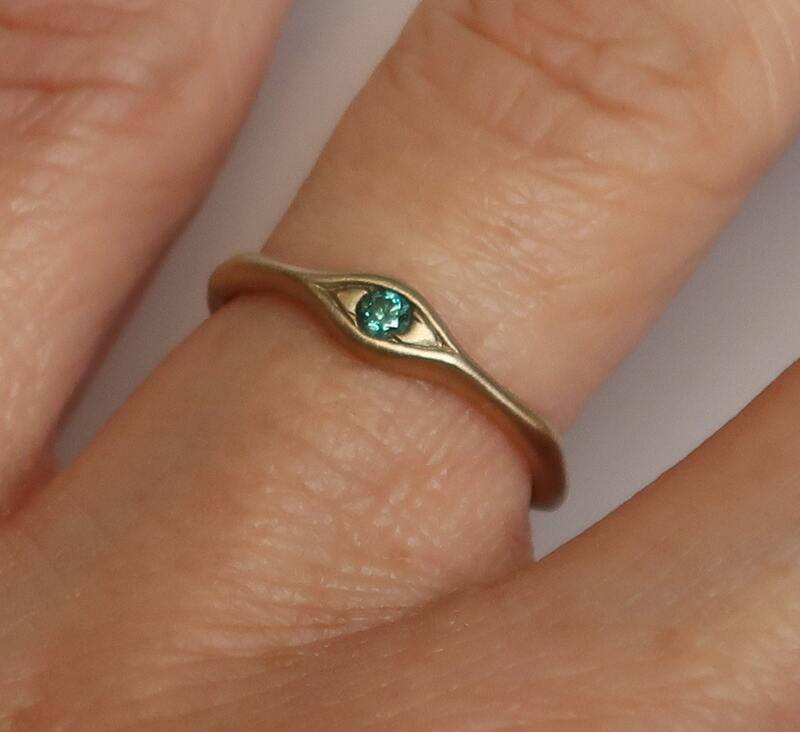 This eye ring is solid cast 10k yellow gold set with an aqua blue 2.5 mm heat-treated diamond. 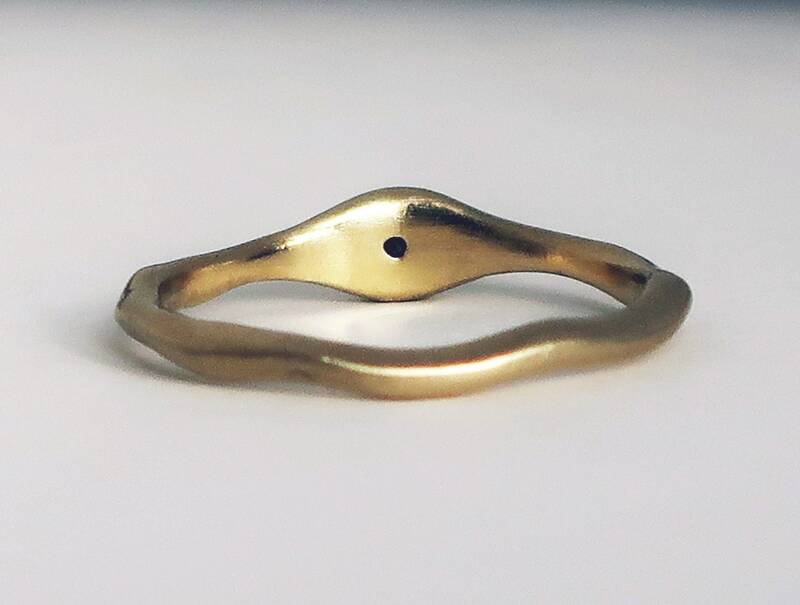 Buffed and burnished to a satiny glow. 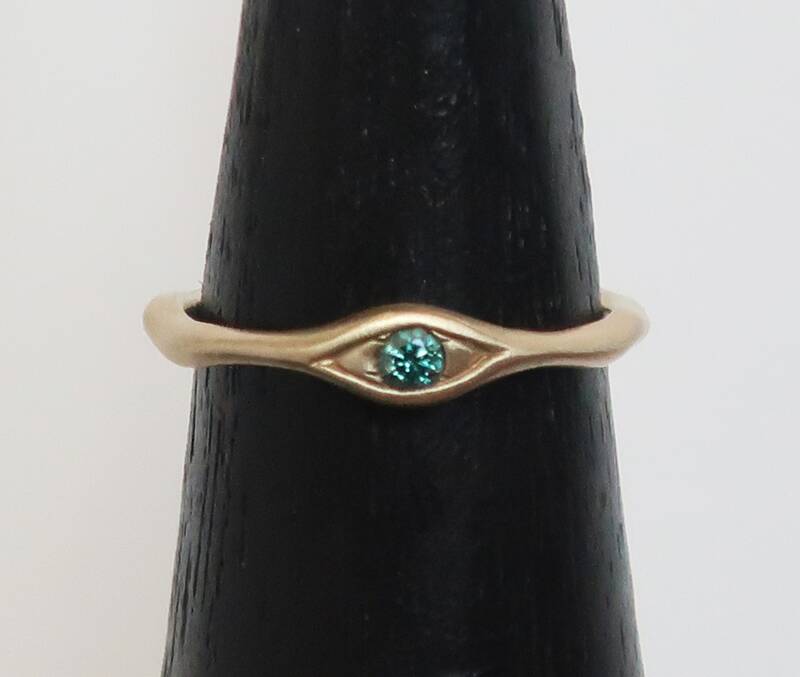 This ring is available in US size 5. 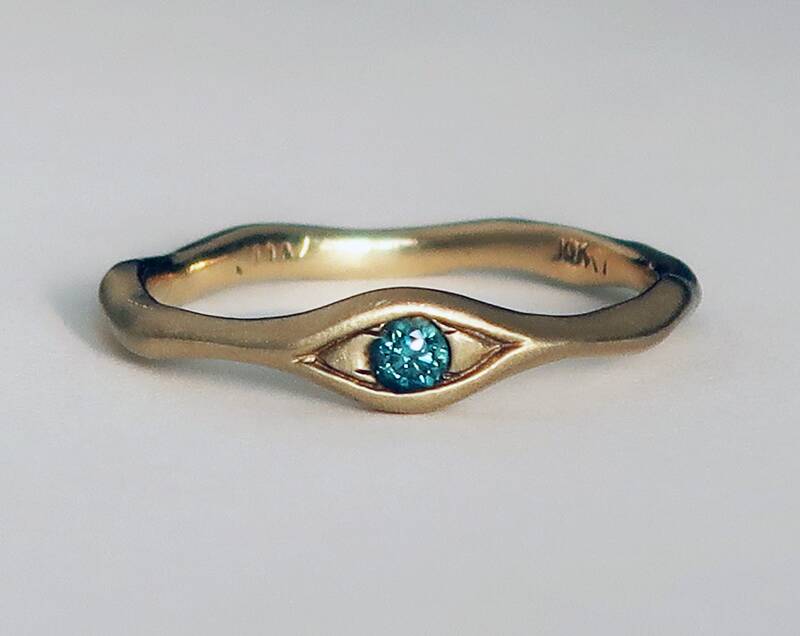 If you would like a ring similar to this one in a different color/karat of gold or need a different size please contact me.